In architecture, a turret is a small tower that projects vertically from the wall of a building such as a medieval castle. Turrets were used to provide a projecting defensive position allowing covering fire to the adjacent wall in the days of military fortification. 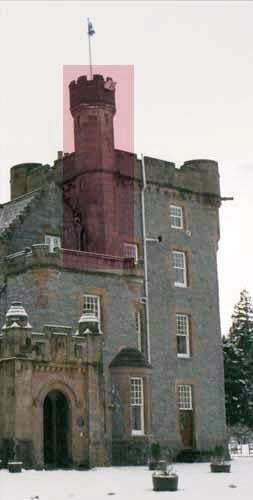 As their military use faded, turrets were adopted for decorative purposes, as in the Scottish baronial style.